A smartphone without a battery is like a time machine without a 1.21-gigawatt nuclear power source. In other words, it is useless – the battery is what provides that magic juice every smartphone needs to operate. Unfortunately, even if you take good care of your smartphone's battery, it will inevitably degrade over time and lose some of its charge capacity. At that point, it might be hard to tell if the cell is still in good health or in need of a replacement. That's why we thought we'd share a few tips on the matter. You don't need to be a rocket scientist to tell a faulty battery from a healthy one. In fact, some common battery failures are easy to spot with a naked eye. If the battery of your phone is removable, simply take it out with caution (after turning the phone off, of course) and look for symptoms like bulging, corrosion near the metal terminals, and green or white-ish stains. These are all signs that the cell is about to kick the bucket. If you don't see anything wrong with it, proceed to the next tip. If you find suspicious stains or if your cell has developed a hump, however, it is a good idea to ask your carrier or vendor for advice as your battery most likely needs to be replaced. Don't put the old cell back inside the phone as you don't want it leaking any nasty chemicals; these may damage the phone's circuitry. Instead, seal the battery in a plastic zip bag and make sure you recycle it once it is confirmed to be faulty by a professional. Lithium-based batteries degrade with each discharge cycle. Not storing them properly makes matters even worse – extreme heat or cold may seriously shorten their lifespan. Another way to ruin a perfectly good battery is to drain it and leave it with no charge for a long time. Eventually, a battery might swell if not treated with care. This swelling happens slowly, usually over the course of weeks and even months, which is why a hump that has just started forming on the battery's side can be pretty hard to notice. To check if your battery cell is fine, try spinning it on a flat surface – if it spins, it might have gone bad. Obviously, this tip applies to user-removable batteries only. Not all phones have batteries that can be easily inspected by the user. If that's the case with your handset, you can diagnose the health of its cell by monitoring how fast its charge level drops. It is not supposed to drop by two or more percentage points at a time. 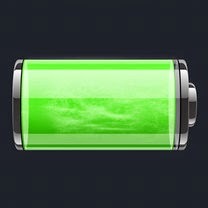 (Most phones allow you to have their battery level displayed as a percentage in the status bar. If you can't find the option in its settings menu, try using a widget.) And if your battery goes from full to zero in a matter of hours even when you barely use your phone, its is probably a goner. Android users, your phone also stores data about the health of its battery cell. To access it, try entering the code *#*#4636#*#* in your dialer –this should take you to a service menu where battery details are shown. If the code doesn't work, try Battery by MicroPinch (Download link). It is a simple battery monitoring tool where the health status of your battery is displayed, along with its voltage and temperature.